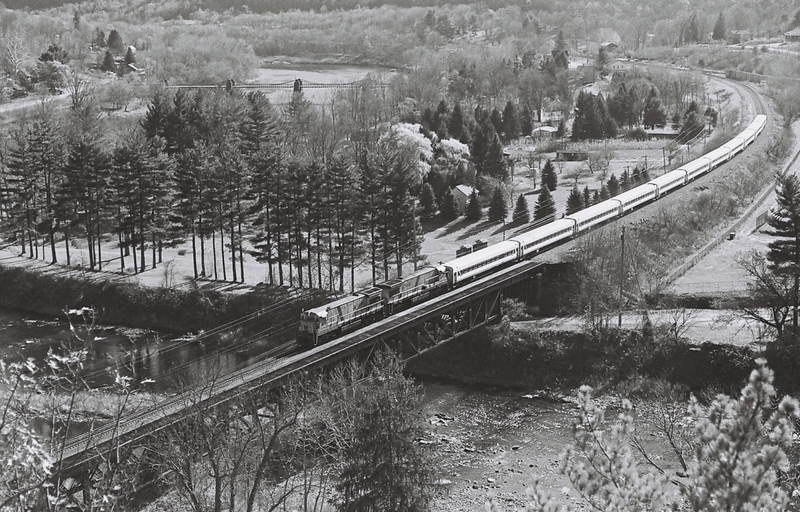 1983: "Erie Southern Tier Express"
The date is November 13, 1983 as Tri-State Railway Historical's excursion named "Erie Southern Tier Express" crosses over the Lackawaxen River in Lackawaxen (PA). Motive power was two NJT diesels, numbers unknown, for the consist of ten coaches. Off in the upper left hand corner can be seen Roebling Bridge spanning the Delaware River. Another trip back in time! 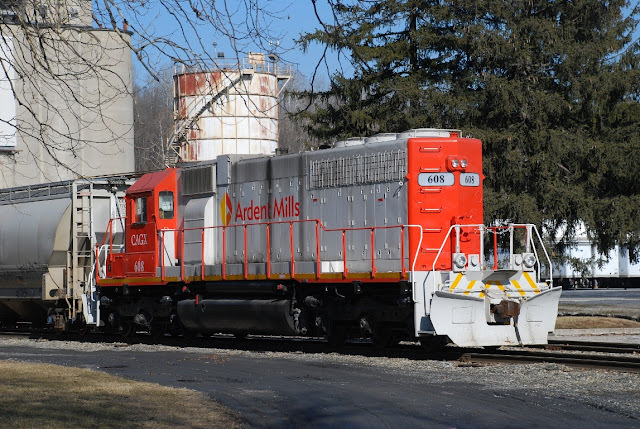 On a whim headed up Route 611 on Friday around Martins Creek (PA) and found Ardent Mills CAGX 608 shuffling some of that yard's covered hoppers in what once was Alpha Cement's facility. It is now part of the Ardent Mills facilities here in Martins Creek. When Alpha Cement closed in 1964 that would end seventy-three years of cement manufacturing along the Delaware River. In 1971, Con Agra purchased Alpha's plant for $167,000 as the yard continues to see a number of hoppers stored here until needed. Virginian heritage unit leading 21M! 21M has the heritage unit leading followed by NS 9935 and NS 7030. 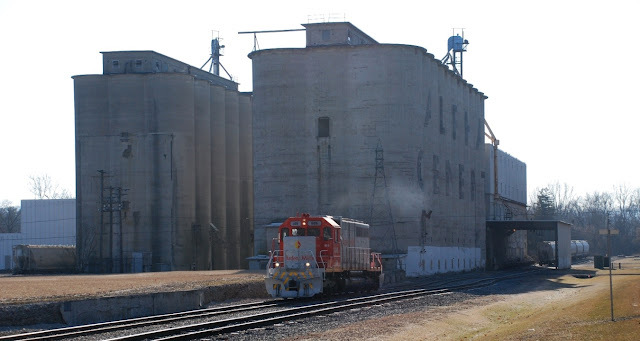 It was held at the Lehigh Line's CP SULLY near MP 40 around 9 AM for two intermodals before heading west around 9:35. 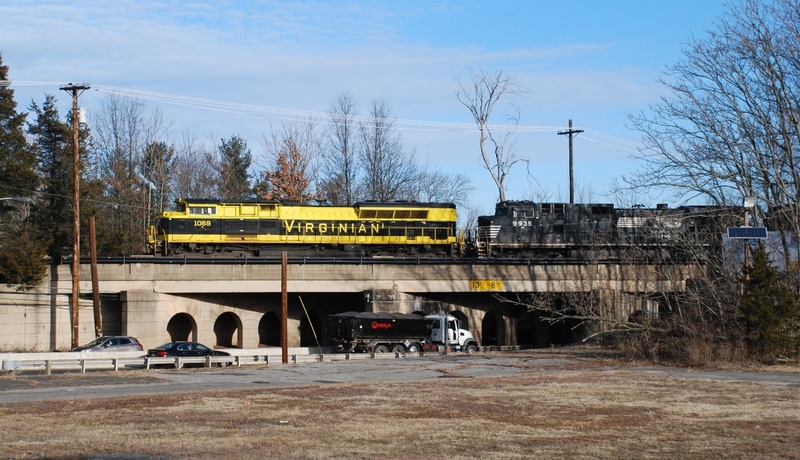 NS 1069 is seen here crossing over the Route 206 Bridge on Main 2 in Hillsborough (NJ). Built in 1930 it was part of a grade elimination project by the LVRR. A project to replace this bridge is scheduled to start in June, 2019. This bridge has been considered a roadblock that has delayed the widening project NJ's DOT to add a lane in each direction to alleviate the congestion on this stretch of road. All of this construction is scheduled to be completed by May, 2021.